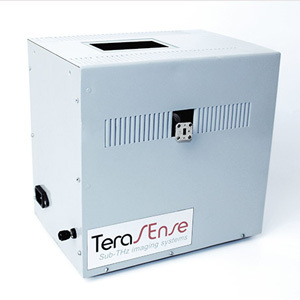 TeraSense has mastered technology to manufacture powerful electro-vacuum terahertz sources. The technology resides on a backward wave oscillator effect. An electron gun emits an electron beam that is longitudinally focused by an external magnetic field. The magnetic field is created by a permanent NdFeB magnet. The beam is interacting with a slow-wave structure. As a result, a traveling wave that moves backwards against the beam is generated. The wave is coupled to the output waveguide near the electron gun. By changing the acceleration voltage, the frequency of the device can be electronically tuned in a certain range. The electro-vacuum terahertz sources generate an immense output power. This property opens the doors for a number of long-awaited applications in terahertz frequency range. 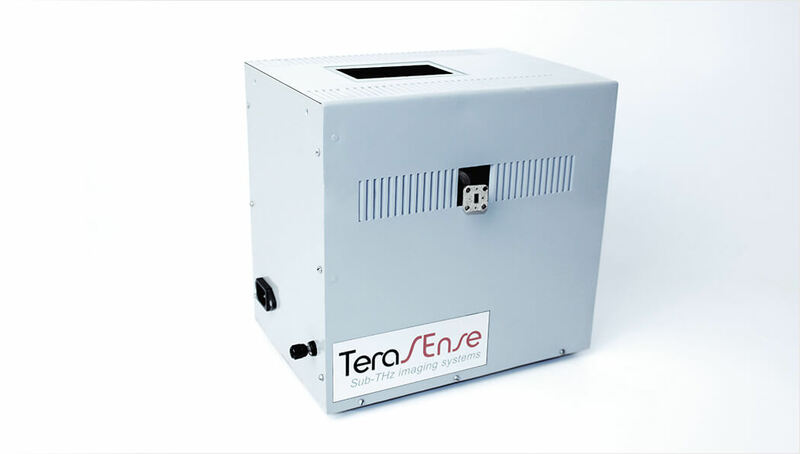 * Clients can order terahertz source with a specific frequency from the custom frequency ranges. Such orders are treated as customization, and may require extra production time and resources. * All listed terahertz sources require water cooling. * The power supply is universal and fits to all TERASOURCES tubes. * The peak structure of the frequency dependency can be tuned mechanically.